Desert AIDS Project and the Desert Highlands Wellness Committee are coming together to unite the community in vigilance against a deadly infection that is twice as prevalent in African Americans as it is in whites and Lantinx. 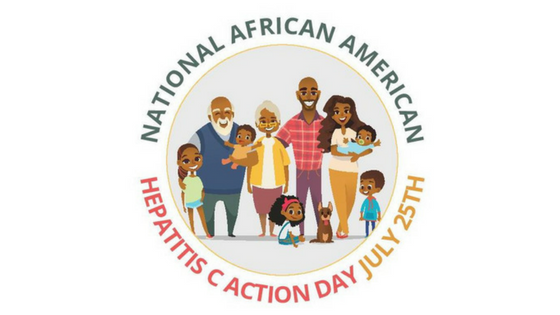 The 6th Annual National African-American Hepatitis C Action Day will bring together the community with activists, health educators, faith leaders, and entertainers for two hours of food, music, games, raffles and giveaways. When: Wednesday, July 25, 2018 from 4–6 p.m.
Quick and easy screenings for HCV will be offered in a quiet and private space onsite, and health counselors will be on hand to inform anyone interested in linkage to care at Desert AIDS Project. A cure for HCV has been available for about four years, and access to treatment has never been more attainable than now. Access to treatment has always been limited for low-income patients covered by Medi-Cal and inmates in state prisons. But Governor Jerry Brown just allocated $176 million in the California budget targeted to expand treatment access for both populations. For many residents of the Coachella Valley, this is good news. Desert AIDS Project’s The DOCK clinic offers free testing for HCV. Treatment to cure HCV is available in the same building by doctors and pharmacists specialized in curing the infection. Skilled case managers are on staff to help navigate through ability to pay. The Desert Highland Gateway Community Health and Wellness Committee consists of community stakeholders and community health workers dedicated to addressing health disparities and improving the wellness of the Desert Highland community. The committee was formed in 2013 as part of a collaboration of interested parties working to conduct a local community health assessment. As a result, they were instrumental in creating a strategic plan to address issues identified in the community health assessment. Members include: Cynthia Sessions, Deter Crawford, Marjorie Holland, Rita Sessions, and former mayor Ron Oden. The committee meets at the James O. Jessie Desert Highlands Unity Center located within the neighborhood in Palm Springs. The James O. Jessie Desert Highlands Unity Center is instrumental in galvanizing the Desert Highlands Gateway Estates neighborhood. Jarvis Crawford, manager of the community center, and the staff work closely with the committee in maintaining a close-knit community with the neighborhood residents. The Desert Highlands Gateway Estates neighborhood is located on the north side of Palm Springs situated north of San Rafael Road, Indian Canyon to the east, Highway 111 to the west, and Tramview Road to the north.